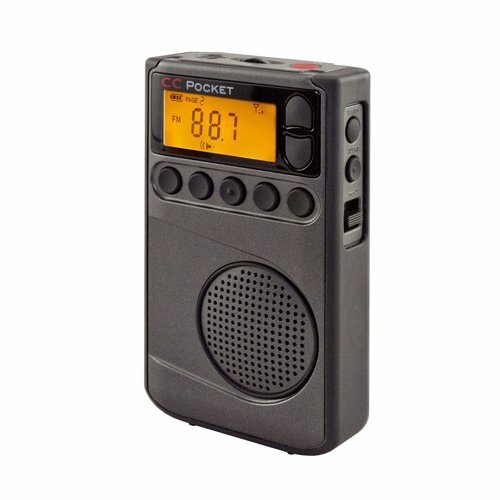 Description: The new CC Pocket Radio from C.Crane is a very cool new addition to their catalog. It competes head-to-head with the Sangean DT-400W and many readers have asked me to compare them so I will include that comparison as part of this report. The CC Pocket is an excellent value at its current price of $59.95. 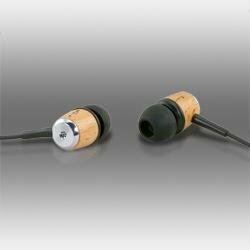 It’s a Walkman-style radio which means it is primarily designed to be used with earbuds…a pair of VOZ-P Premium Wooden earbuds (which sell for $19.95) is included although C.Crane says this extra is for a limited time. However there is also a built-in speaker for utility use (again like the DT-400W)…this is particularly useful if you use the radio for NOAA Weather Alerts which I’ll describe later. 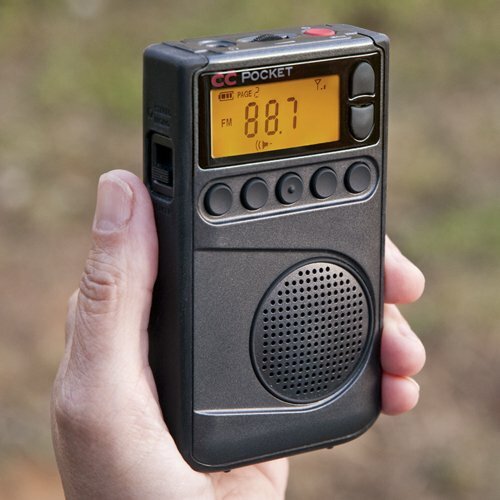 The CC Pocket covers standard AM and FM as well as the 7 NOAA Weather Band frequencies and runs on 2 AA batteries. According to C.Crane’s website, “The CC Pocket is very easy to use and has excellent overall performance. It has five easy to use memory buttons and it stands upright for convenience and best audio through the speaker. The sides are rubber coated to provide a firm grip and to help protect the radio if dropped. The Stereo/Mono/Speaker switch allows you to listen to the radio via the built-in speaker while using earphones as an antenna for the FM and NOAA Weather Bands. It is not common for a radio to block a strong signal that overrides a favorite weaker station. The CC Pocket has excellent selectivity while providing maximum sensitivity to weak signal”. There are many features, some very unusual in a pocket radio. Some of these include dual bandwidths in AM mode (4 and 2.5 KHz) for increased selectivity when stations are crowded closely together along with selectable 1KHz tuning steps. You can also defeat the display in cases where this helps to reduce background noise. You can designate whether the display reverts to time or frequency when listening and you can disable the beep tone if desired. More standard features include a battery meter, signal meter, display lighting, 9/10 KHz tuning steps, Weather Alert mode, clock, alarm timers, sleep mode, 55 memories with memory pages, a removable belt clip, FM Stereo/Mono switch and a lock switch to prevent unintended operation. An antenna wire for FM and Weather Band when not using earbuds is included. There is a sticker inside the battery cover with instructions for several of the initial mode setting options such as 9/10KHz tuning steps, Beep on or off, as well as clock and alarm settings. C.Crane specifies about 75 hours of play on (2) AA batteries (not included) with earbuds or 25 hours using the built-in speaker. Checking It Out: Basic operation is easy and intuitive…only the initial setup such as selecting 9 or 10KHz AM tuning steps require a peek at the sticker in the battery compartment, and some of the unique features will require a look at the Owner’s Manual (always a good idea anyway) until they become second nature to you. For example. to activate the 1KHz tuning steps on AM you press memory buttons 1 and 4 simultaneously. Or to activate the narrow (2.5 KHz) AM filter you press buttons 1 and 3 simultaneously. Other less-used functions require specific button presses with power off…considering the number of functions and features packed into this small package I think the user interface is as direct and simple as possible…unlike some radios there are no complex menus to wade through…everything happens with one or two button presses which is as it should be. NOAA Weather With Alert: You can either listen to any of the 7 frequencies available or you can set the radio to alert you when an alert message is issued by the National Weather Service…this alert mode could be a lifesaver in some situations. I actually used this feature while working on this article…we had three rare tornadoes here in Connecticut and the CC Pocket alerted me every time a new message was broadcast and brought them all to me while remaining silent in between. Remember that while in Alert Mode there is a drain on the batteries so keep spares on hand. Performance: The CC Pocket performs very well for its size and price and in some ways is singularly superb. I compared it directly against the Sangean DT-400W which is also a good performer but each had areas of superiority. On FM the CC Pocket fairly trounced the Sangean primarily because of the CC’s absolutely superb selectivity, although both were very sensitive. Living at a high elevation in a suburban location I can receive FM signals from several states which means just about every frequency has a signal on it most of the time. The CC Pocket was able to separate most of these while the Sangean missed many because of bleed-over from adjacent channel signals. It’s important to note that this didn’t usually affect reception of more typical signals but if you like to tune around to see what’s there the CC Pocket will hear many signals that other radios won’t be able to separate from their neighbors on the dial…it competes with my very best FM radios in this regard…it’s amazing! On AM it was a slightly different story. The Sangean is a little more sensitive to weak AM signals…on my daytime test stations at about 100 miles distance and beyond, both radios could receive most of the same signals but there was somewhat more noise on the CC Pocket. However the CC still had the advantage of greater selectivity because of its dual bandwidths and 1 KHz tuning steps so again…if you want to seek out signals which are crowded by interfering neighbors the CC Pocket will be the winner. At night with many more strong AM signals on the dial the CC Pocket is phenomenal at separating them. Call this one a draw…either one could be better for you depending on your local signal conditions. NOAA Weather performance was excellent on both radios…it was hard to discern a winner here, but both are better than many such radios I have of older vintage. Built-in Speaker: Here the Sangean won with slightly fuller audio from the built-in speaker. Neither of these radios sounds as good through its speaker as the pocket portables I reviewed, but one doesn’t expect them to. The speakers are for utility use when earbuds or earphones are not convenient. Recommended!